Frameless glass can transform your home or business, enhancing aesthetics and improving functionality. When you choose a glass sliding system from Cover Glass, you have yet more options for potential uses. Kitchen systems sit at the height of a counter top, giving you a window at eye level. This makes everything more pleasant, from cooking to washing dishes. It also increases the amount of natural light in the kitchen and can make a huge difference to carrying out basic tasks, due to the reduced need for artificial light sources later into the day. 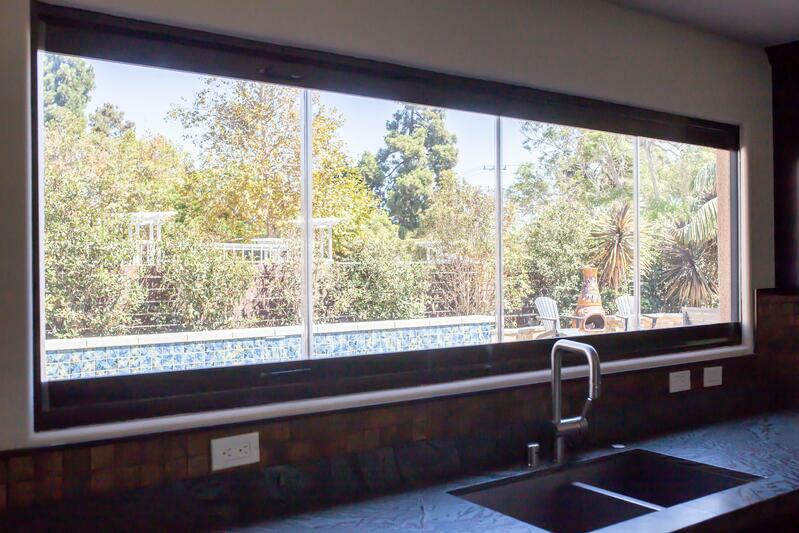 Our kitchen systems are fully functional, sliding open to create a pass-through window. This is excellent for entertaining outdoors, whether you want to maintain communication with your guests or pass out plates of food straight from the kitchen. 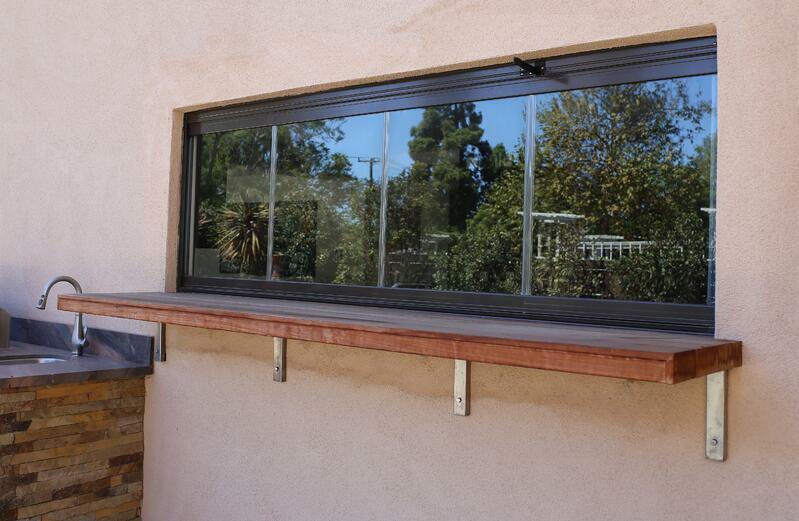 This home installed a large windowsill beneath the sliding glass system to add to the usefulness of the window. 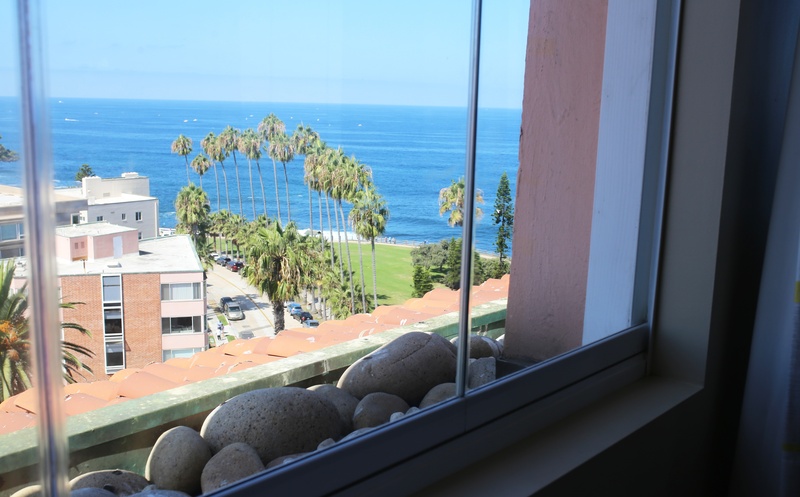 Our window systems are ideal for any room where you want to take advantage of views. The lack of frames makes it feel like nothing is between you and the outdoors. Plus, the windows have all the same options as our sliding glass door systems, such as to have the glass fully open, a single panel open, or all the panels partially open to create air gaps. You can customize several features of your windows to create the look you want for your residential or commercial property. As well as being as large and as plentiful as you want, you can choose the color of the glass and the track. 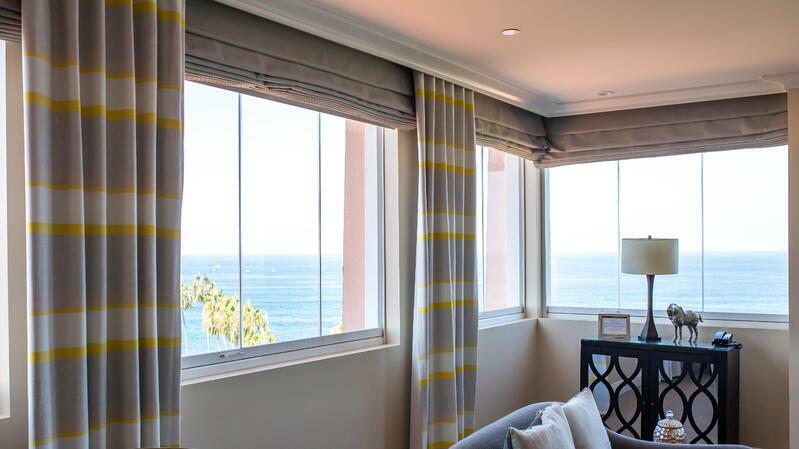 In this example, the use of clear glass optimizes the ocean views and the silver tracks match the drapes. You can also install a glass system inside, such as for a bar system. Here, you can see how the system appears when open. At first glance, it’s difficult to see the glass at all, as the panels stack so discretely to the side. The recessed lower tracks means that the space across the bar is completely flat, lowering the risk of accidents like spilled drinks. The bar system provides a great experience to customers during open hours and offers high security when the bar is closed. The tempered glass means it is virtually unbreakable, but the system also has a concealed internal locking hardware. Cover Glass wall systems are much like the sliding doors — the only difference is that they separate two indoor rooms. The possibilities for such a system is endless. 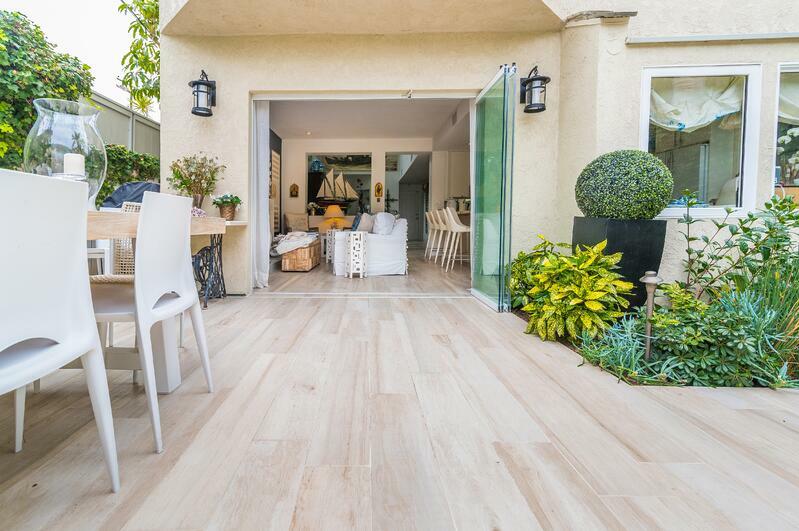 For instance, in a residential setting, it opens the room up for entertaining or just to form a larger space. You can see here that the glass makes no difference to the size of the room, as the panels stack neatly out of the way. The homeowners can then close the space whenever they want a more intimate feel. Closing the wall is also ideal for creating a private space without reducing natural light or isolating family members. 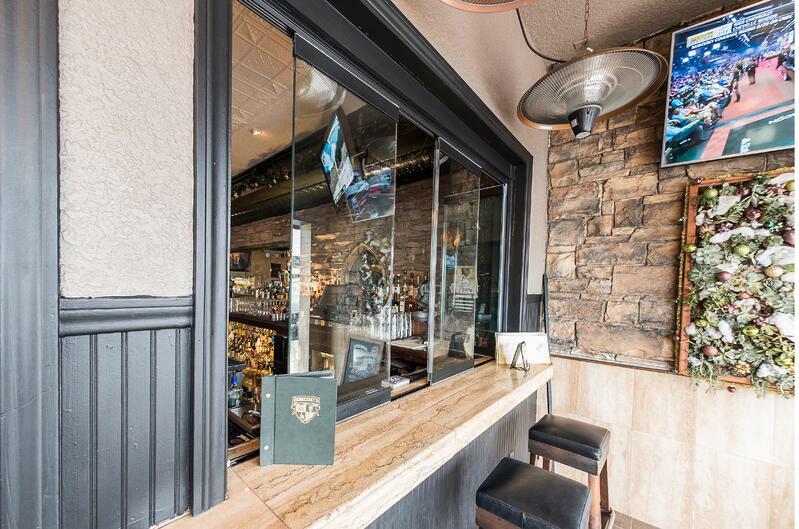 For a commercial business like a restaurant, a glass wall can improve the dining experience. When you have just a few patrons, you can close the wall to avoid the sense of emptiness. You can also use a glass wall to separate off a private area for special events. The above are just a few examples to show the various configurations of the Cover Glass system in action. Every building has unique possibilities. You can use the above for inspiration for your own property, whether you decide to do something similar or create a completely different design. We would love to learn about your individual project!